Queensland’s Gold Coast will be the venue for the Mountain Bike Australia Schools National Championship for the next three years. Mountain Bike Australia has finalised an agreement with the City of Gold Coast which will see the event held at Nerang National Park until 2021. The date for the 2019 Schools National Championship is the 2nd-4th August 2019 with more than 350 students from schools across Australia to attend. MTBA CEO Shane Coppin said since the event was first held on the Gold Coast in 2017, the number of competitors has greatly increased. “Schools from across the country have embraced the event and it has the potential to grow significantly in coming years due to being in such an engaging and exciting tourist region”, Coppin said. Gold Coast Mayor Tom Tate said the Commonwealth Games had showcased the city’s mountain bike trails and sports science and training support programs. “This is a legacy outcome of the games and a major coup for our city,” he said. 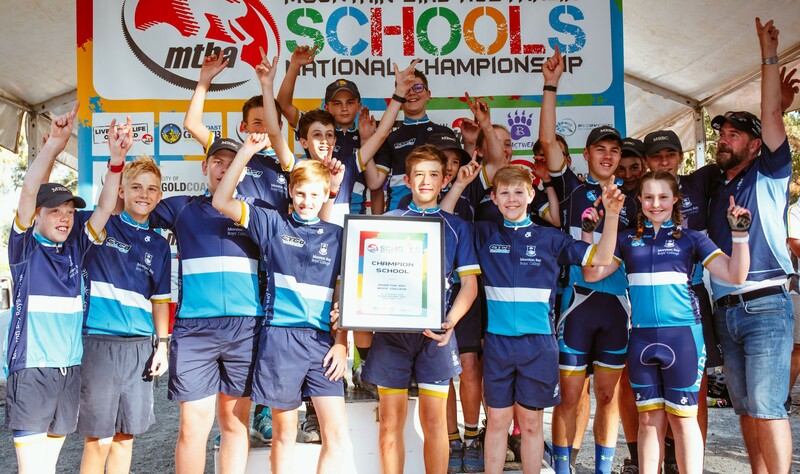 Moreton Bay Boys College was crowned the 2018 Schools National Champion after three days of competition and will be back to defend their title at Nerang next year. More information for the 2019 Schools National Championship will be released closer to the event.